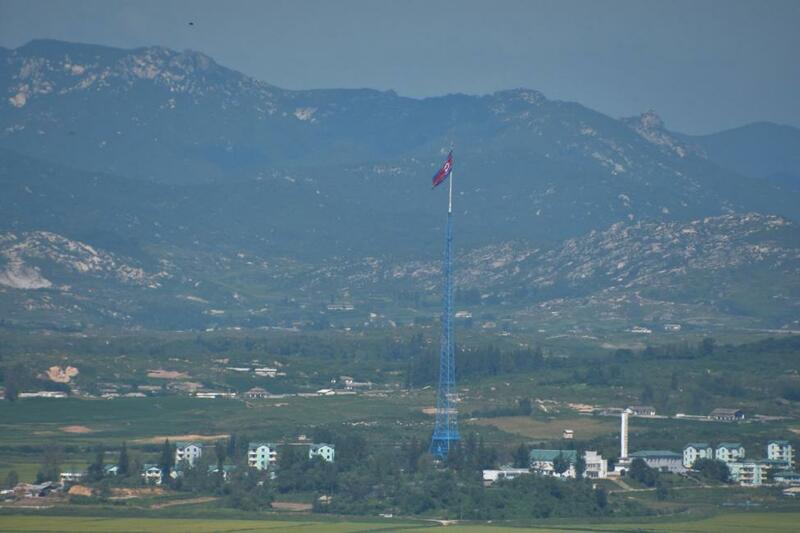 SEOUL, March 22 (Xinhua) -- The Democratic People's Republic of Korea (DPRK) withdrew from the joint liaison office with South Korea in the DPRK's border town of Kaesong, Seoul's unification ministry said Friday. The ministry said in a statement that the DPRK side notified South Korea on Friday morning of its decision to pull out of the Kaesong liaison office according to instructions from the superior authorities. All of the DPRK officials, who had stayed in Kaesong for the round-the-clock communications with the South Korean counterparts, withdrew from the office. The inter-Korean liaison office opened in Kaesong last September as agreed upon by South Korean President Moon Jae-in and top DPRK leader Kim Jong Un during their first summit in April in the truce village of Panmunjom. The DPRK allowed South Korean officials to stay and work in the Kaesong liaison office. The Seoul officials planned to work in Kaesong over the weekend. The Seoul ministry said the DPRK's withdrawal decision was regrettable, expressing the hope that the DPRK side would rapidly return to the office and normally operate it as agreed upon by the two Koreas. South Korean vice unification minister Chun Hae-sung told an emergency press briefing that it came to get difficult to make detailed discussions on the video reunions of Korean families, separated by the 1950-53 Korean War. Seoul had prepared to consult with the DPRK on the video reunions and the exchange of video messages between the separated families as agreed upon by Moon and Kim during their third summit in Pyongyang last September. South Korea recently won sanctions waiver from the UN Security Council to send necessary equipment to the DPRK for the video reunion event. The families of the two Koreas have been banned from meeting and contacting their relatives on the other side of the Korean Peninsula since the Korean War ended with armistice in 1953.